There’s no way to say enough about the transformation that this tight knit and hip community has undergone with all the millions of pounds invested in removing the industrial remnants of the area. However, more billion’s are being spent to revitalize the area surrounding the Power Station with a plan for thousands of Battersea Rentals and new homes to bring the young professionals and new families all the housing options they will require. Although the area is a great spot for those who like to cut loose after work, or for the weekend warriors, with clubs and pubs abound; it’s the young couples just starting families that are flocking to the area and causing fairly affordable neighborhood to become ever more popular. For the childless young professionals that live in Battersea rentals, the short commute to central London is a breeze. It’s such an upbeat, funky, hip, and culture rich place that it’s not hard to imagine why it continues to grow in popularity. The Battersea rentals market is fairly large and planned expansions will put in new developments of hundreds of new apartments and flats to rent. Currently, the favored spots seem to be flats in the Battersea Rise and Northcote Road districts near Clapham Junction station. There are a great many shares in the area, right up through 4 and 5 bedroom houses to let. The council tax is one of the cheapest in London, and the school choices are quite nice. The architecture in the area isn’t all new builds just yet, though. Queen Anne style mansion blocks, homes, and cottages. 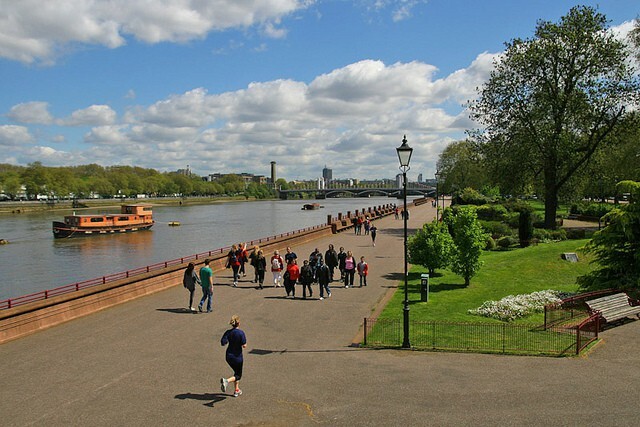 Also available are Victorian Villas, Edwardian homes and flats and terraces near ad off Battersea Park and riverside apartments lining Vauxhall to Wandsworth. A four bedroom Battersea rental house will be affordable, and an additional bedroom and better location can be had for another thousand pounds. However, for couples needing only 2 bedrooms there are a great many choices. Battersea flat rentals vary in size, but the bulk of the flat Battersea rentals are two and three bedrooms and cost an average of mid to high £2,000s. Want to know more about Battersea Rentals?